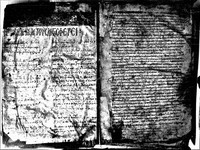 The surviving parchment leaf contains a table of contents (probably of the codex it belonged to). The contents list is laid out in two columns, 21 lines per column. 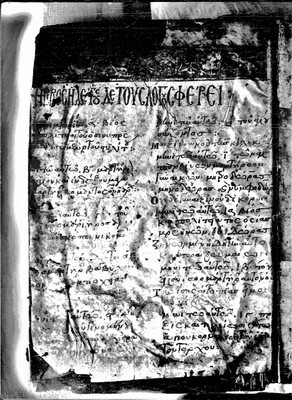 The text is written in Greek, in a minuscule script dating back to the 12th century, with some very common abbreviations.